This photo provided by the Denver Police Department shows Chase Bishop. Bishop turned himself in to the Denver Sheriff's Department Tuesday, June 12, 2018, and is being held for Investigation of 2nd Degree Assault. 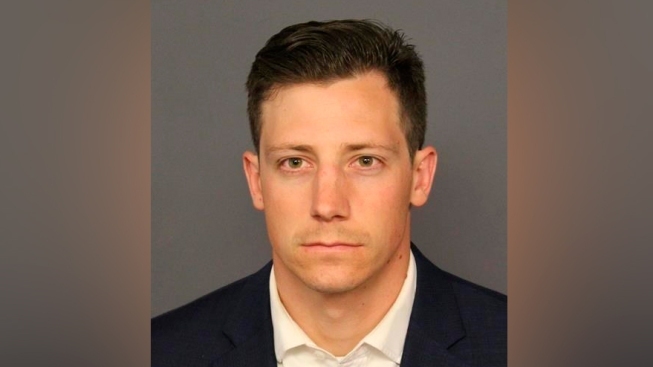 An off-duty FBI agent who accidentally fired a gun that dropped out of its holster while he was doing a back-flip at a nightclub was booked into custody on Tuesday, NBC News reports. Chase Bishop, 29, was being held in a detention center in downtown Denver. He faces charges for second-degree assault but he has not been formally charged, according to NBC affiliate KUSA. Denver police have said Bishop was dancing at a nightclub in the early hours of June 2 when the gun fell from his waistband holster and hit the floor. When he went to grab it, the gun went off and wounded a man who was taken to a hospital, where he was listed in good condition.